God makes salvation its walls and ramparts. Open the gates that the righteous nation may enter, the nation that keeps faith. You will keep in perfect peace those whose minds are steadfast, because they trust in you. Trust in the Lord forever, for the Lord, the Lord himself, is the Rock eternal." 26:2 Opening the gates of the city for the righteous is a welcoming believers with faith and righteousness to enter this fortified city. The opposite is true also. Those without trust in the Lord will not be able to access this place of peace and protection. 26:3 “perfect peace” is literally “peace, peace” in the Hebrew. The repeated double word makes the meaning absolute. It is important to understand the phrase referring to “those whose minds are steadfast.” The word “mind” or “thoughts” is from the Hebrew word yester which communicates the idea of “outlook on life,” “worldview,” “point of reference,” or “frame of mind.” The opposite of this mind would be James’ “double minded man” in James 1:6-8 and Jesus’ man who serves two masters in Matthew 6:24. Without this renewed view of life that includes a comprehensive understanding of the Lord there is no peace. Apoluo (Gr) – divorce (Eng) – the Greek word apoluo is a compound word from apo meaning “from” and luo meaning “to loose.” Together they mean “to loose from” or apolou. When used in context it is a technical term for divorce as in Matthew 5:32 and Luke 16:18. I will continue to renew my mind with the Word of God. I will continue to trust the Lord and his ways in my life. 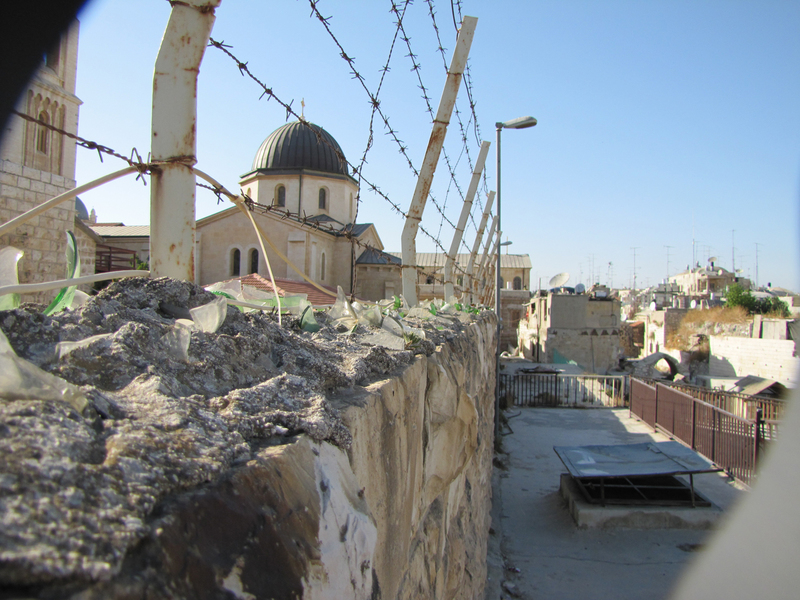 A stone wall in Jerusalem with barbed wire and glass embedded into concrete forms a barrier. 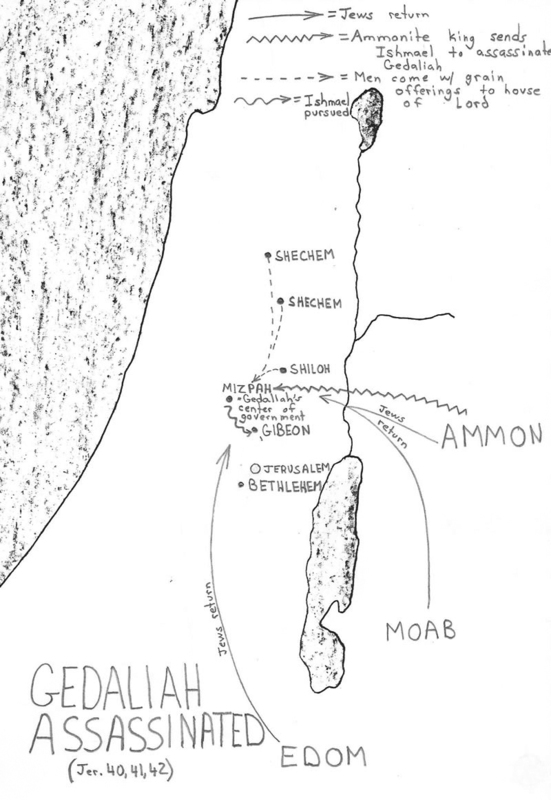 Locations from Jeremiah 40, 41 and 42 concerning Gedaliah and his assassination in 586-85 BC are detailed on a map. Angels are mentioned in thirty-four of the sixty-six books in the Bible. These thirty-four books cover the full spectrum of time from Genesis through the Jewish return from Babylon and from the announcement of the birth of Jesus through Acts. Angels appear to have been created before the universe. Angels have freewill and at some point in the past some choose to rebel against God. Angels can interact with the physical world and are used by God for a variety of reasons including communication, judgment, council, assistance for believers, and more. Angels, both fallen and holy, are highly organized and have specific job assignments. The appearance of the Angel of the Lord in the Old Testament is a theophany or an appearance of the second member of the Trinity. Satan is an angel from the class of angels called cherubim who rebelled against God and is called by several names including the prince of the power of the air and the god of this world. 1 Kings 1:50; Amos 3:14; Ezekiel 43:15; Jeremiah 17:1; Exodus 27:2; etc. mention "horns" on an altar or a "horned altar." Several excavations have uncovered altars with horns on the corner. 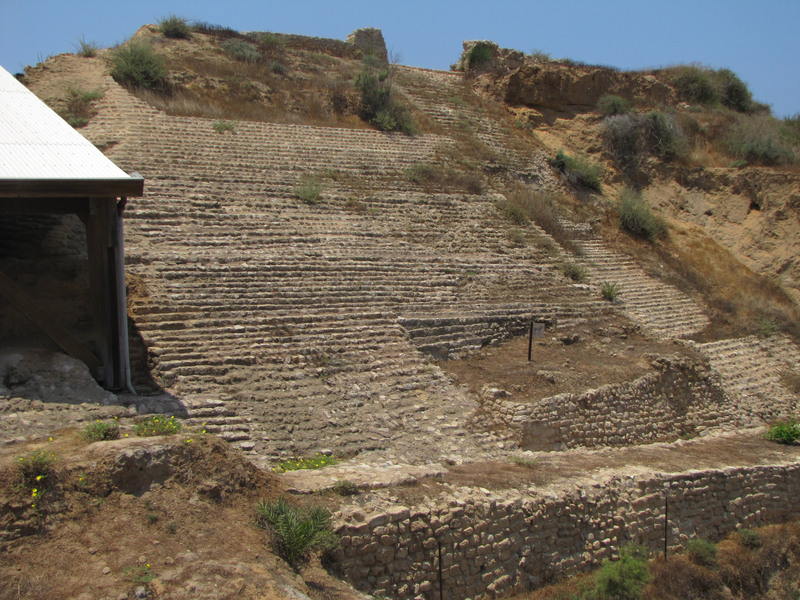 For example, the horned altar at Beer Sheba. 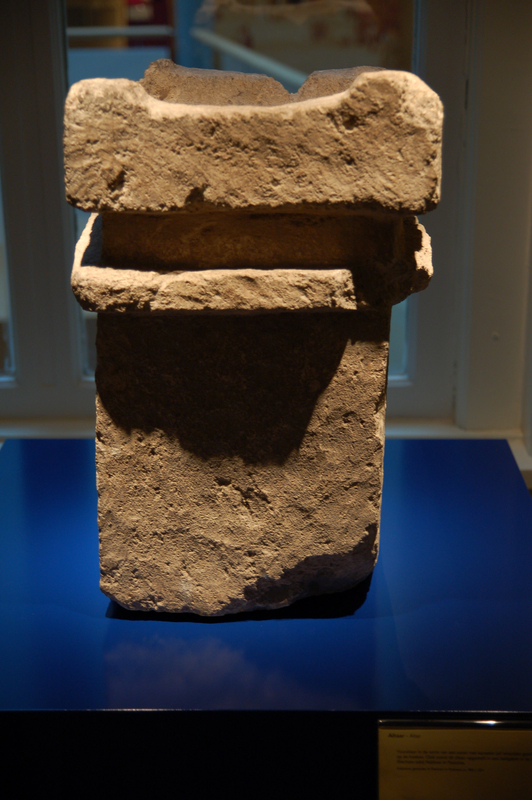 This altar had been dismantled around 701 BC by Hezekiah's reformers and the stones had been used in the building of the store rooms in the city of Beersheba. During excavation the stones were separated from the others and eventually pieced back together. "If a man loudly blesses his neighbor early in the morning, it will be taken as a curse." “Go down, sit in the dust, Virgin Daughter Babylon; sit on the ground without a throne, queen city of the Babylonians. [a] No more will you be called tender or delicate. Take millstones and grind flour; take off your veil. Lift up your skirts, bare your legs, and wade through the streams. Our Redeemer—the Lord Almighty is his name— is the Holy One of Israel. “Sit in silence, go into darkness, queen city of the Babylonians; no more will you be called queen of kingdoms. I was angry with my people and desecrated my inheritance; I gave them into your hand, and you showed them no mercy. Even on the aged you laid a very heavy yoke. You said, ‘I am forever— the eternal queen!’ But you did not consider these things or reflect on what might happen. Both of these will overtake you in a moment, on a single day: loss of children and widowhood. They will come upon you in full measure, in spite of your many sorceries and all your potent spells. Disaster will come upon you, and you will not know how to conjure it away. A calamity will fall upon you that you cannot ward off with a ransom; a catastrophe you cannot foresee will suddenly come upon you. “Keep on, then, with your magic spells and with your many sorceries, which you have labored at since childhood. Perhaps you will succeed, perhaps you will cause terror. Surely they are like stubble; the fire will burn them up. They cannot even save themselves from the power of the flame. These are not coals for warmth; this is not a fire to sit by. That is all they are to you— these you have dealt with and labored with since childhood. All of them go on in their error; there is not one that can save you. I foretold the former things long ago, my mouth announced them and I made them known; then suddenly I acted, and they came to pass. For I knew how stubborn you were; your neck muscles were iron, your forehead was bronze. You have heard these things; look at them all. Will you not admit them? “From now on I will tell you of new things, of hidden things unknown to you. You have neither heard nor understood; from of old your ears have not been open. Well do I know how treacherous you are; you were called a rebel from birth. For my own name’s sake I delay my wrath; for the sake of my praise I hold it back from you, so as not to destroy you completely. For my own sake, for my own sake, I do this. How can I let myself be defamed? I will not yield my glory to another. “Listen to me, Jacob, Israel, whom I have called: I am he; I am the first and I am the last. My own hand laid the foundations of the earth, and my right hand spread out the heavens; when I summon them, they all stand up together. I, even I, have spoken; yes, I have called him. I will bring him, and he will succeed in his mission. And now the Sovereign Lord has sent me, endowed with his Spirit. This is what the Lord says— your Redeemer, the Holy One of Israel: “I am the Lord your God, who teaches you what is best for you, who directs you in the way you should go. If only you had paid attention to my commands, your peace would have been like a river, your well-being like the waves of the sea. They did not thirst when he led them through the deserts; he made water flow for them from the rock; he split the rock and water gushed out.